TAHOE KEYS is South Lake Tahoe’s premier waterfront development consisting of both single family dwellings and townhouses. Unique at Lake Tahoe, the Tahoe Keys consists of peninsulas of land separated by lagoons allowing for boat docks behind the homes with direct Lake Tahoe access. Some homes which have no water frontage enjoy a boat dock in a nearby marina as with many of the condominiums. This planned unit development boasts two swimming pools, an Olympic-sized indoor pool and an outdoor pool open summers right on Lake Tahoe. There are also seven tennis courts, a private beach and private security patrol. 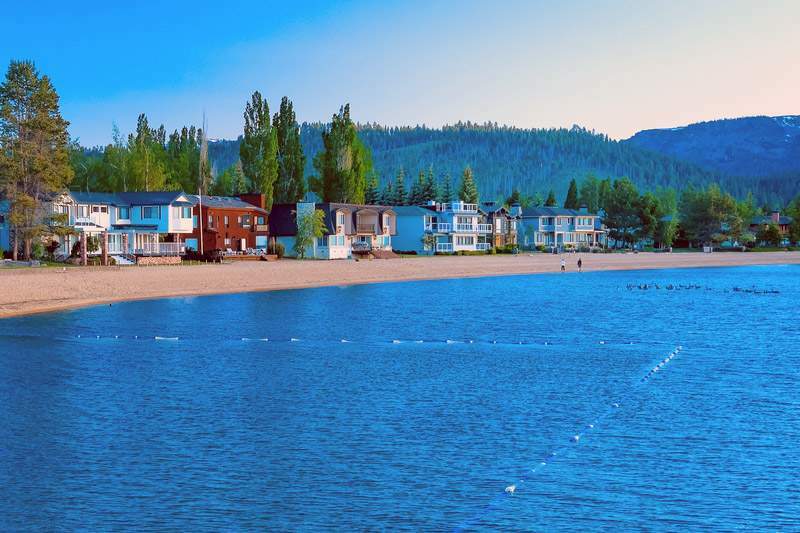 The Tahoe Keys condo values range from about $300,000 up to $1,000,000+ for lakefront units; the homes range from $600,000 to $5,000,000+ depending on location, proximity to the lake, boat dock location, and street. Two Tahoe Keys streets (Beach Drive and Lighthouse Shores) offer homes with Lake Tahoe lake frontage.